The “Sentence Arrange” tool in SMART Notebook is a great tool for sequencing and ordering and can be used in all subject areas. You can find this tool in the Lesson Activity Toolkit. Basically you enter single pieces of information – in sequence – on up to 8 separate lines. The lines are shuffled and students must reorder them. Like most of the activities in SMART Notebook, it has a self-check feature. I have used this for whole class instruction, stations, and individual practice. 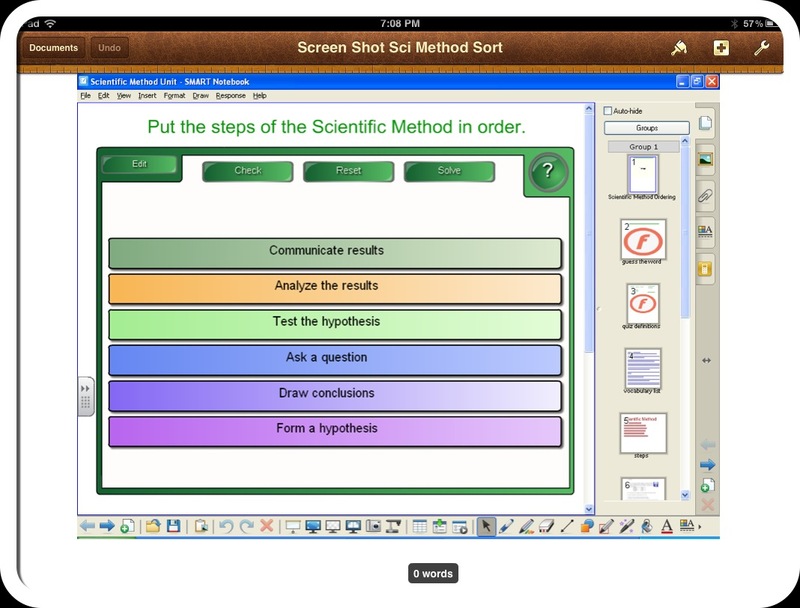 The screen shot below shows how we used this tool for learning the Scientific Method. Stay tuned for another clever way to memorize the steps of the Scientific Method! What other ways could you use this tool in your classroom?